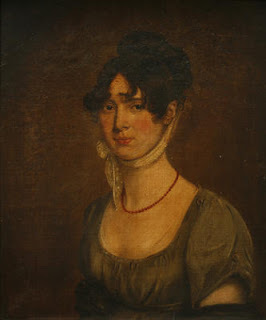 Madame Louise Antoinette Laure de Berny née Hinner was Honore De Balzac's first love, and a loyal and steadfast friend who had a huge influence on his life. Yet she is little remembered today. So, who was this woman behind the great author? 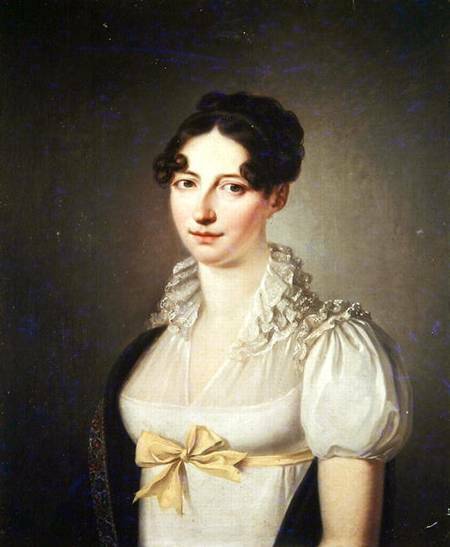 Laure Antoinette Hinner was born at Versailles on 24th May 1777. Her father, Philippe Joseph Hinner, was a German musician and Marie Antoinette's harpist, and her mother, Louise Guelpee de Laborde, one of the Queen's ladies-in-waiting. The baby also had two very special godparents: Their Majesties, King Louis XVI and his wife Queen Marie Antoinette. The child grew up in the dazzling and extravagant world of Versailles. In 1784, when she was only 10 years old, her father died and her mother remarried. Her new husband was Francois Regneir de Jarjayes, a fervent royalist. When the Revolution broke out a couple of years later, he would do all he could to save the royal family, including devising a plan to free Louise XVII from the Temple, but sadly his efforts were in vain. He would survive the Revolution, but like everyone else, including his step-daughter Laure, would never forget its horrors. In 1793, aged only fifteen, Laure married Gabriel de Berny, but their union was unhappy. He was 20 years old, quite reserved and cold, whereas his young wife was very sensitive, warm-hearted and caring. Despite their differences, they still managed to have nine children, although five died in infancy and only two survived their mother. In 1815, the family bought a house in Villeparisis, in northern France, where they spent the summers. It was here that Laure first met Honore De Balzac. Laure was 42 at the time and already a grandmother, but this didn't stop the young Balzac (he was only 22) from falling in love with her. At first she resisted him, but Balzac wouldn't give up. He courted her for months and in the end, she gave in. The two become lovers. Of course nothing could remain secret for long in a small town. When Balzac's parents learned of it they tried to break off their scandalous relationship, but to no avail. Laure's wasn't just Balzac's lover. She was his confidante, his muse and his benefactress. She gave him the love, security and confidence he hadn't received from his parents as a child, she supported his literary career (she inspired the characters of Madame de Mortsauf in The Lily In The Valley, and Pauline in Louis Lambert) and helped him out financially when he needed it. She assisted him in his business ventures, which always failed, and helped him pay his debts. "La Dilecta", as Balzac called her, also told him many stories about the ancient regime and of how some of her aristocratic friends and acquaintances managed to escape death during the Revolution, while others weren't so lucky. His royalist principles would be strongly confirmed by Laure's influence and it's from her he also acquired his aristocratic longings. Thanks to her help, he also managed to meet several influential people and would sometimes make an appearance in high society. Balzac would also talk to her about his relationship with other women, such as Madame de Hanska, who he would end up marrying a few months before his death. "I should be very unjust if I did not say that from 1823 to 1833 an angel sustained me through that hideous battle. Mme. de B..., although married, has been like an angel to me. She has been mother, sweetheart, family, friend and counsellor; she has formed the writer, she has consoled the man, she has created my taste; she has wept and laughed with me like a sister, she has come day after day and every day to lull my sorrows, like a beneficent sleep. She has done even more, because, although her finances are in control of her husband, she has found means to lend me no less than forty-five thousand francs, and I paid back the last six thousand francs in 1836, including five per cent. interest, of course. But it was only gradually that she came to speak of my debt. Without her I should certainly have died. She often became aware that I had had nothing to eat for several days; and she provided for all my needs with angelic goodness. She encouraged me in that pride which preserves a man from all baseness, and which today my enemies reproach me for, as being a foolish self-satisfaction, and which Boulanger has perhaps somewhat exaggerated in his portrait of me." Laure De Berny died on 27th July 1836 at La Bouleaunière, her country house at Grez-sur-Loing. Balzac was in Italy at the time, but when he returned, he visited her grave.